If you plan to travel by car this summer, you’ll want to make sure your vehicle is firing on all cylinders (pardon the pun)! This is the most important time of the year to get your car tuned up and topped off. Here are three tips for maximizing your car’s summer performance. To get the most fuel efficiency from your car, you’ll need to make sure your tires are fully inflated. This is a good time to check your tires for damage, bulges, or low tread. Always carry a spare with you when you travel. This is a fairly easy task that doesn’t take long. Check the reservoirs for washer fluid, brake fluid, power steering fluid, etc. Also check your oil level. It might be a good idea to get an oil change before you go on a long road trip. This is a great time of year to get a professional tune-up. A professional will let you know if they notice potential problems, and they will know how to fix them. We’d be thrilled to be your choice for car repair! 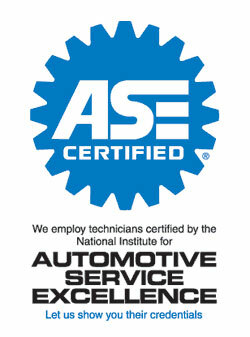 Just give us a call, and we’ll get some trained eyes on your car to make sure everything’s working smoothly. Posted in Uncategorized on March 22, 2016 at 4:37 pm by Rolling Auto Service.